✔ UNIQUE Viral Marketing or Kickstarter Video with optional corporate branding. ✔ UNLIMITED input on the content featured within your Viral Marketing or Kickstarter video. ✔ 100% Full HD 1920 x 1080 Marketing video delivered to you in your preferred video format. 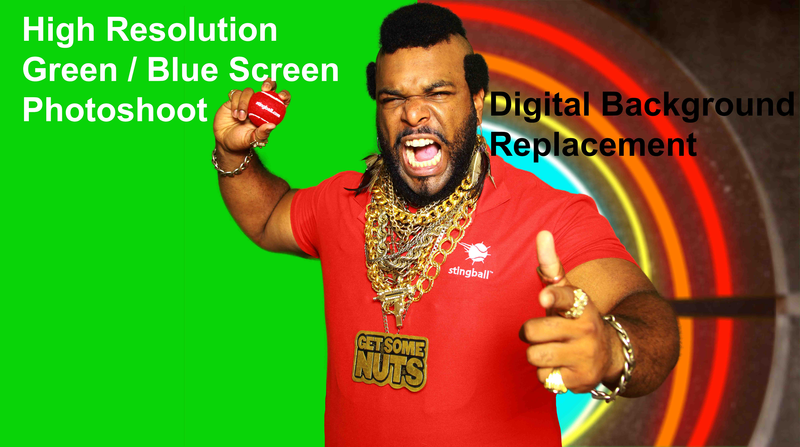 I will film up to 90 second max viral marketing video or corporate / training / Kickstarter video in the style of Mr T & deliver it in 72 HOURS. I have created content for personal trainers, marketing executives, & advertising teams to help kick off a meeting or enhance PowerPoint presentations. ► With this viral Marketing or Kickstarter video the potential reach is astronomical. Within three days of posting the viral Marketing video for MyProtein.com it had over 28 thousand hits. You cannot judge what will become viral video or be viewed but you can help by making your viral Marketing video unique. ► Training videos become an instant hit when a bit of humor is introduced. It's a proven fact that people learn more when they are entertained coining the phrase “EduFun” education through fun and entertainment. Instead of the same old boring training videos send through your topics & I can create training videos around the subject. ► Outfit can either be the traditional Ateam 80's red shirt & overalls or the full camouflage gear from the "Get some nuts" Snickers Advert, or you can send me your marketing material to wear. ► Delivery can be directly to Youtube / Vimeo or even sent to you via Dropbox. All the videos are shot on Green or Blue Screen & can be delivered for you to edit in your own background or you can have it sent out on the background in the sample video “The Worlds Craziest Fools” TV shot set. Its as easy as 1, 2, 3... If you're unsure on anything just send me a message and I will be happy to help. If they ever re-launch The A Team, John's 100% guaranteed the "son of Mr T" part. Brilliant work, our next site will need Mr Ts message and we'll be talking again next week. What a professional. Amazing buyer, great person to work with allows you to do what you are contracted to do. Couldn't be happier with the end result. John was a dream to work with, nothing was to much trouble. I hope to you use again soon and i will be recommending !! AMAZING as usual! Used several times now and can fully recommend! John is a GENIUS! Well happy! worth the money! I was watching a BBC documentary about capitalism a couple of months ago. John's Mr T video was shown in a brief moment when services like PPH were mentioned and I really liked the idea. Now, two months later, I have registered on PPH and hired John's services to promote my iPhone app. I am really happy with the video and assets that got delivered to me. I would without question consider using him again. With over 13 years experience in a commercial and broadcast environment I specialise in visual effects for film, tv, corporate, Social Media, and digital marketing. I have worked as...Read moreWith over 13 years experience in a commercial and broadcast environment I specialise in visual effects for film, tv, corporate, Social Media, and digital marketing. I have worked as an visual effects editor for the BBC, Sony Entertainment, and many others. I have had the opportunity to lecture in some of the top universities in the United Kingdom in the field of VFX & Media. 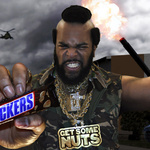 So your wondering when did all of "THIS" Mr. T stuff start? Well about six years ago I was pulled into the lookalike entertainment business after attending a co-workers 80's themed birthday and I have never looked back. I have thad the opportunity to work for corporations like Walmart, Virgin Media, Serco Group, Sky TV, Atlantic Records, Universal Music Group, Orange Mobile, Vodafone, Butlins, Beefeater Pubs / Resturants, Walkabout Clubs, and many many more. I have been used for meet and greet as well as commercial videos that have been broadcast on TV and online. I am originally from New York so I sound just like Mr. T... don't worry its all authentic. Feel free to send me a message and lets get to work on a project! The UK’s best Mr. T Lookalike & Soundalike I am a part of the Chippendoubles act featured on BGT 2010. Much much more, but can handle almost any project.